Warm Welcome To All Who Come Looking For A Little Sunshine! 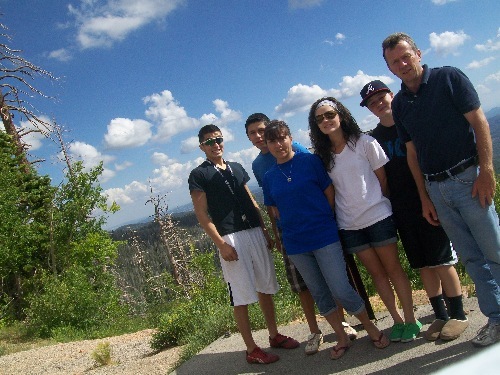 With playgrounds in the sunny Southwest of the United States at the corner of Utah and Nevada, Solar Cooker at Cantina West was started by none other than Nathan Parry. 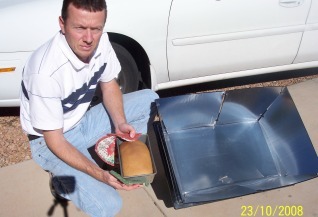 A man more dedicated to solar cooking and educating others than anyone in the industry. His passion for solar cooking and years of dedication to educating, serving and cooking have placed him as the known professional for all things solar cooking. Sun is what this site is all about… solar cooking with the Power of the Sun. I have had a keen interest for years in the ability of this earth’s natural resources to provide us with the means to “power up” our homes, our cities and our way of life. From the time I was younger I have always felt that we can do better when it comes to managing and utilizing the abundant natural resources earth has given us. 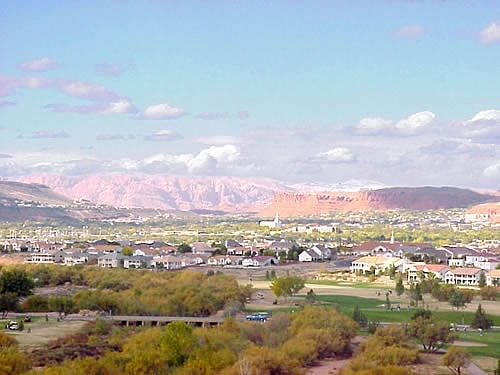 I developed this appreciation for the earth and its natural resources through my experiences in the mountains, deserts, and forests of my home state of Utah and also during five years overseas military stints in Europe and South America. But I would have to say that my life in a small rural town, tending our family garden, milking the neighbors' cows, hauling hay from the fields, camping, hiking, hunting, and restoring and cleaning natural sites, paths, and waterways in the mountains and on the farms of my rural boyhood town; these are what ingrained within me a desire to preserve and sustain these gifts for future generations. Solar cooking, in my mind, is just an extension of who I am and what I enjoy. I love nature and I love food. The two go hand in hand; picnics, camping, barbecuing at the beach or in a park or the mountains, and best of all I can do my Solar Cooking any where I care to try it. 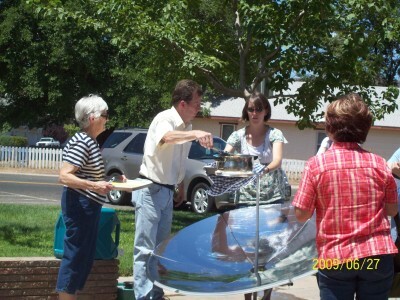 I love to share my knowledge of the benefits and the practicality of solar cooking. I even taught a class for 8 years on solar cooking for our local community education program which is administered by the local college and the city of St. George. I invite everyone to come and find out more about this fascinating world of: Using the power of the sun to cook.